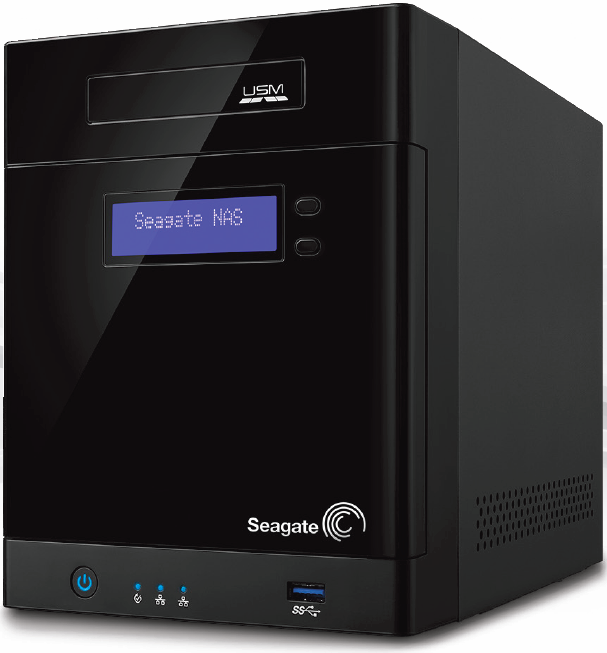 Today, Seagate introduced the company’s newest business storage offering, the Business Storage Windows Server 4-bay NAS. Running a Dual Core 2.13 GHz Intel Atom CPU, 512MB DRAM, 4 SATA II channels with Hot swappable/lockable trays, the Business Storage 4-bay NAS is available in configurations of 4TB, 8TB, 12TB and 16 TB with RAID 0, 1, 5 & 10. There are also 2 Ethernet ports, 2 USB 3.0 ports and 1 USM (Universal Storage Module) slot which makes it simple to create off-site backups. You can start by docking a Seagate Backup Plus portable drive in to the USM slot and with a touch of a button, you can transfer your files to a secure, off-site location. 256MB of flash memory is provided for the OS and the MicroServer type case has an LCD display panel with buttons and you can also upload and download files with free apps for the iPhone, iPad and Android devices and as well as full automatic back up for PCs, Time Machine support for the Mac is also included. 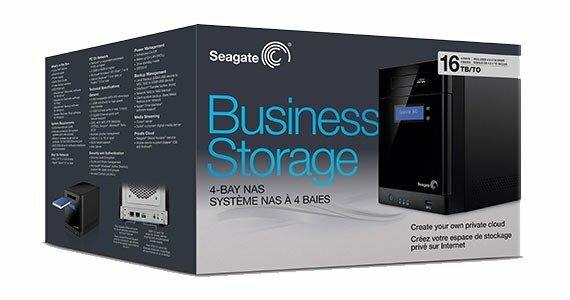 More information on the Business Storage Windows Server 4-bay NAS is available from here. Readers can also find available a data sheet and user guide.